Within 2 hands of each other, we saw Ubaid Habib double through Joe Serock, and then Joe Serock double through Ubaid Habib. 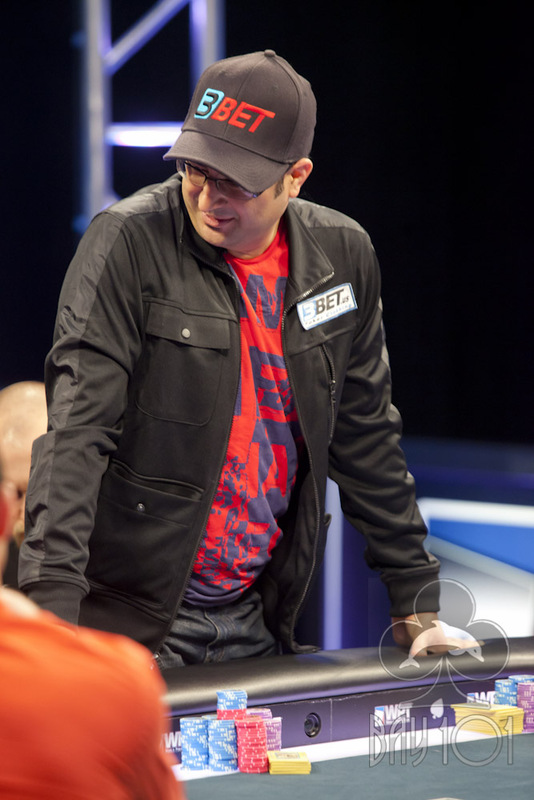 In the first hand, Joe min-raised the button and called Habib's all-in from the big blind for 1.26 million. Joe Serock was in the lead with [Ah][Jd] against Habib's [Qs][2c], and he extended the lead immensely when the flop fell [As][8h][5s]. Habib would need runner-runner flush, straight, or trips to survive. The turn [4d] gave Habib a bit of hope as he picked up a gutshot straight. The river [3c] gave Habib the miracle he needed, leaving Joe stunned and earning Habib the doubleup. Just two hands later, the two got into a pot and Joe check-raised all-in on the river on a board showing [Ad][Jh][8d][Jd][6d]. Habib quickly called and tabled [Qd][9h] for a queen high flush, but Joe had a full house holding pocket aces. 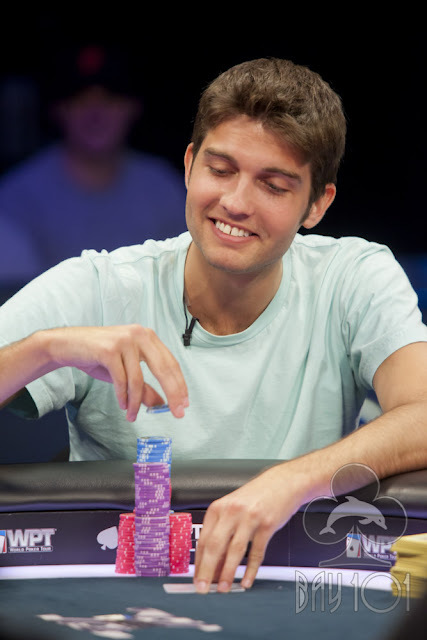 After those two hands, Joe has just over 2 million and Habib has just under 2 million.